Schools use Tynker not only to teach programming, but also to support cross-curricular instruction. The open-ended creativity and endless project possibilities that Tynker unlocks make it the perfect medium to support project-based learning in all subject areas in a fun and hands-on way. 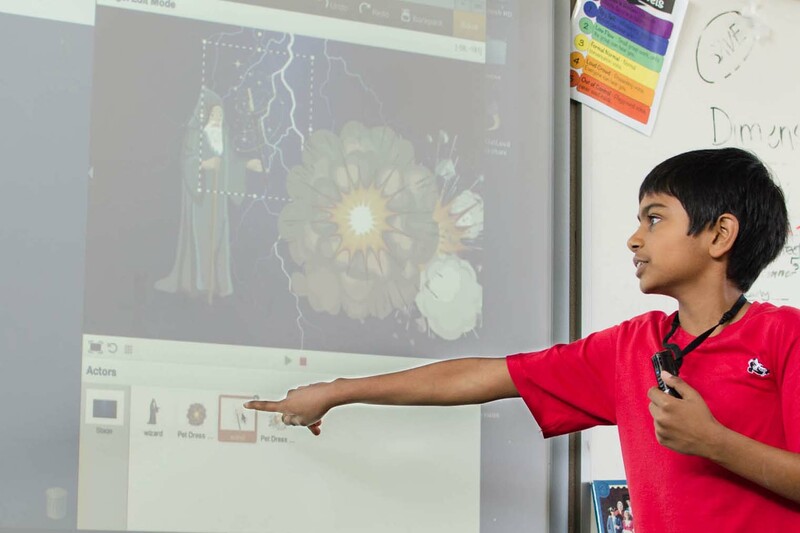 As more schools across the country adopt Tynker for technology learning district-wide, teachers are finding creative ways to use Tynker to support many academic areas — math, language arts, science, history, art and more. To see examples that span the curriculum, hear from 6th graders who will give you a peek at the code used in their Tynker projects. Want to challenge your kids to make Tynker projects that can be used by others to enhance learning? Not only can kids create simulations, quizzes and Q&A, but they can also create useful “apps.” They can create a currency calculator or a stopwatch, a “Least Common Factor” calculator, a tool for converting Fahrenheit to Celsius, and more. Has your class or your child created Tynker projects that enhance their academic learning? We want to hear from you! Upload what your class or your child has made using Tynker to YouTube (here’s an example of a video uploaded by a teacher) and send us a link. Schools and homes across the country are using Tynker to teach programming and inspiring kids to code. If you’re not already Tynkering, learn more!